THE CITIZEN ON EBAY: while we've been selling very casually on eBay since 2009, in just the last two months, however, we been serious about setting up a storefront on eBay. Why a storefront? Well, for starters, it's a great way to create sales events and coupon codes, so that our CITIZEN shoppers can save as they show their support and shop our goods. Also, it's a place where we can offer up not only vintage items, but all items- including contemporary brands, especially the ones with a MADE IN THE USA label. 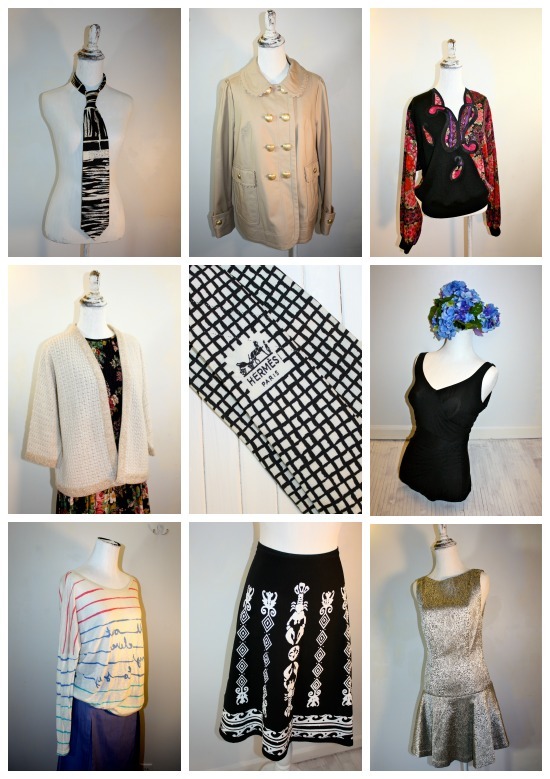 Right now, we're offering up mostly womens' clothing, but look for a bit more diversity with home wares and stuff for the gents coming soon to an eBay shop near you. Buy 2 items and get 15% off your purchase. 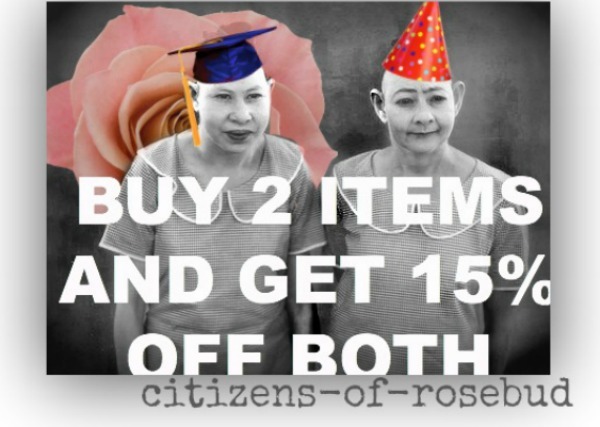 The 2 for 15 SALE lasts to Friday, July 18th. 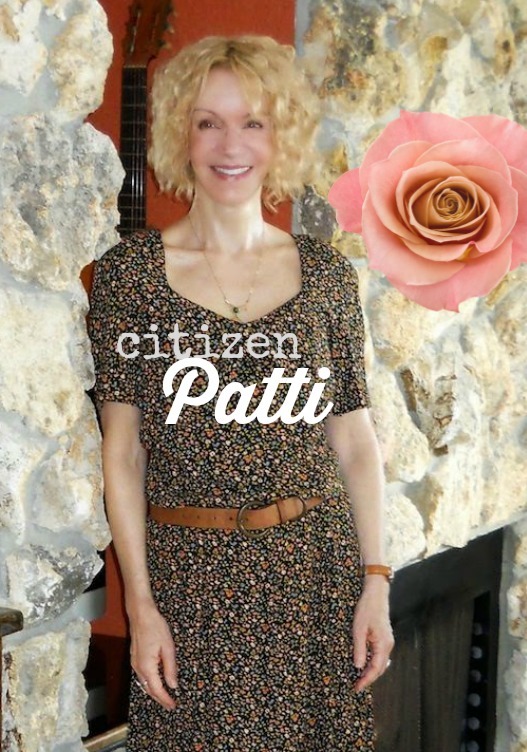 One of our all time favorite blogger pals is very visible today wearing her recent #CITIZEN fresh pick: a vintage 90s rayon dress, and man, Patti sure makes the floral print bloom madly! If you haven't done so already, please check out her bi-weekly blogger event, Visible Monday, and get some inspiration from the women who know how to SEE and BE SEEN. If there's anything in particular you're on the hunt for, shoot us an e-mail, to set up a personal shopping appointment with Bella. It's a fun way to get a customized shopping experience, and a great way to get additional savings. THANK-YOU for your kindness and support! I'm loving the shop, Bella! I bought your supercute French striped top! Wheeee! Can't wait to get my goodies in the mail. Btw, as an inveterate eBay shopper, I want to say thanks for taking brilliant pictures and giving really detailed descriptions. I sometimes put stuff up for sale myself and I know how much work it all is. This eBayer appreciates all your effort. Will check it out! I love to mix some vintage items, be it a brooch, necklace, a hat, or an item of clothing to what I wear. I love hats in the fall, mainly cloche hats, so let me know when u may have some for the fall. Wow, that plaid dress in your shop is gorgeous! Just a pop in to say howdy ... hope you're well and enjoying a NW summer. You both looked lovely in Patti's dress! Naturally. Sound like a great idea, Bella! Congratulations on the new shop. Patti looks like a million bucks in the 90's floral print dress!